Planning to Avoid Too Much SALT - Thompson Law, P.C. Doctors have long said that too much salt isn’t good for you. Now it appears that too much “SALT” isn’t deductible either. December 2017 brought a new federal tax law, The Tax and Jobs Act, which limited the deductibility of state and local taxes (“SALT”) to $10,000 per year. This $10,000 limitation applies for individual taxpayers and even married taxpayers filing a joint return. Some state legislatures have considered or are considering adopting proposals which allow taxpayers to contribute to a fund and receive a state tax credit for the contribution. This strategy is attempting to convert the state income tax to a charitable deduction in order to circumvent the new SALT limit. In Notice 2018-54, the IRS warns taxpayers that it will not honor these purported “charitable contributions” and will recharacterize them as what they really are, payment of SALT. Of course, if you take the charitable deduction which the IRS has warned is impermissible and denies, you’d also subject yourself to penalties for underpayment, etc. If you are an unmarried couple, you could transfer the real estate to the other partner assuming they wouldn’t face the SALT limit and they had other income to make use of the deduction. Non-grantor trusts. You could transfer the property to one or more non-grantor trusts. Such a trust is a separate income taxpayer and has its own $10,000 SALT limit. To make the deduction worthwhile, the trust would need income against which to offset the deduction. To be a non-grantor trust, the trust must meet the requirements set forth in sections 671-678 of the Internal Revenue Code, including the trust must be irrevocable, the grantor cannot retain the right to income, and the grantor must not keep control over distributions from the trust. 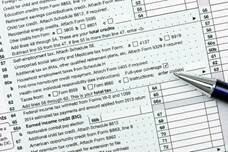 Gone are the days of an unlimited federal deduction for State and Local Taxes (SALT). Many people are trying to get around that limitation. There are ways that work (like an irrevocable non-grantor trust) and ways that don’t (such as those spelled out in IRS Notice 2018-54). If you’re trying to get around the SALT limit, make sure you do it the right way. Doing it the wrong way could land you in hot water.